View all New Haven CT Real Estate today at LivingIGreaterNewHaven.com and see all houses and condos listed in the New Haven area. Call Jamie Dumaine-Russell at 917-705-5675 to Buy or Sell a House in New Haven today. 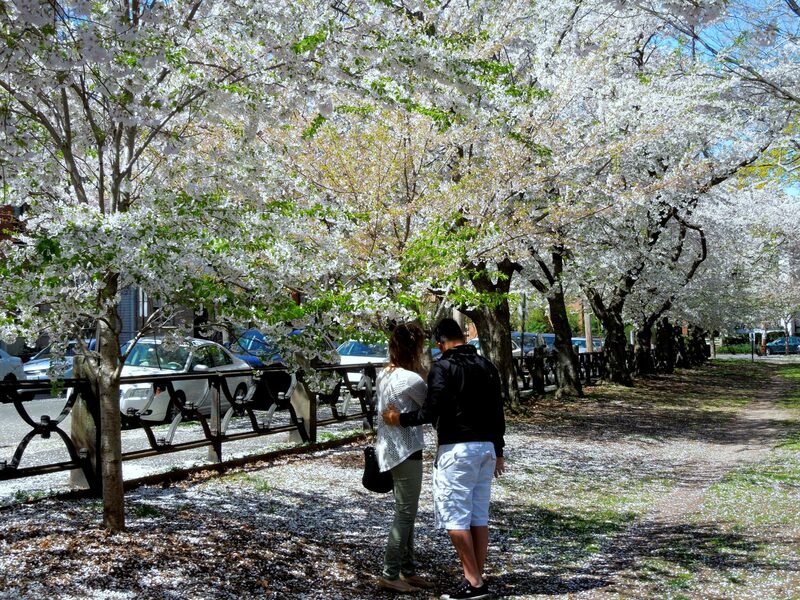 There is nothing more spectacular in the month of April than the Wooster Square cherry blossoms. 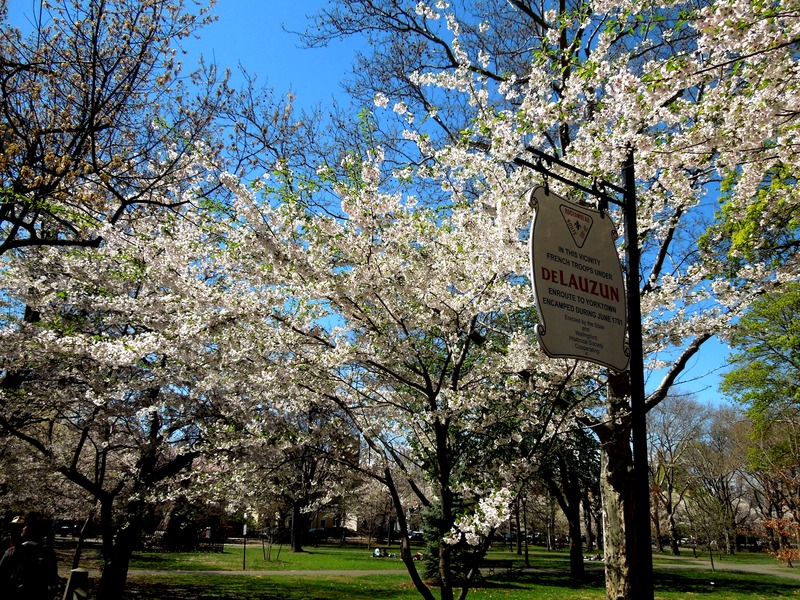 For over 40+ years since the planting of 72 Yoshino cherry blossom tress in 1973 Wooster Square is bursting with color as the bright pink flowers of the cherry blossom trees begin to bloom. 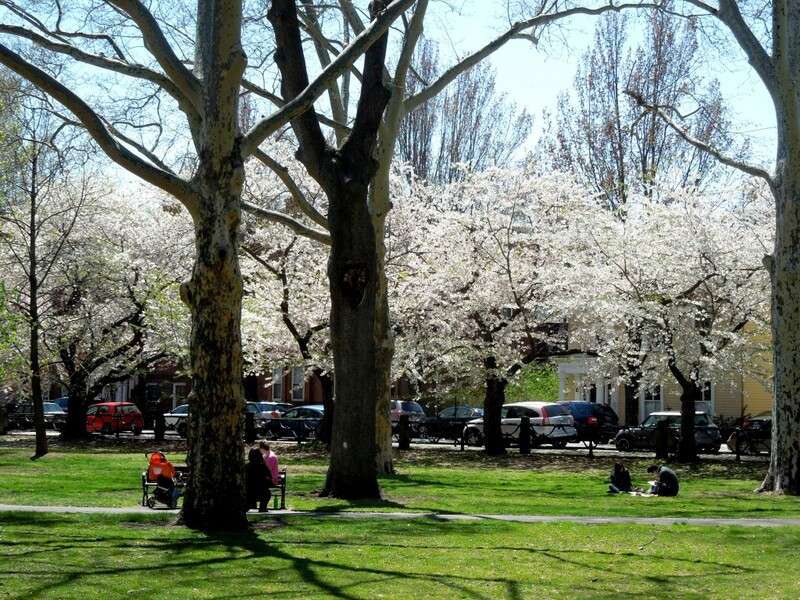 You find not just the neighbors but visitors from all over the city and state flock to Wooster Square just to see the cherry blossoms in all their magnificence. One street that is a must to visit is Hughes Place. 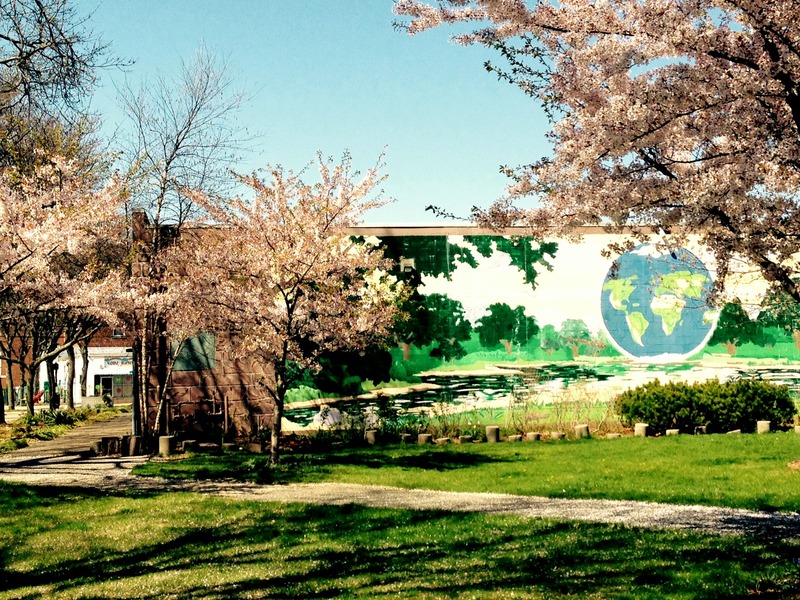 Cherry blossom trees were planted on both sides of Hughes Place. even before the 72 were planted through Wooster Square. 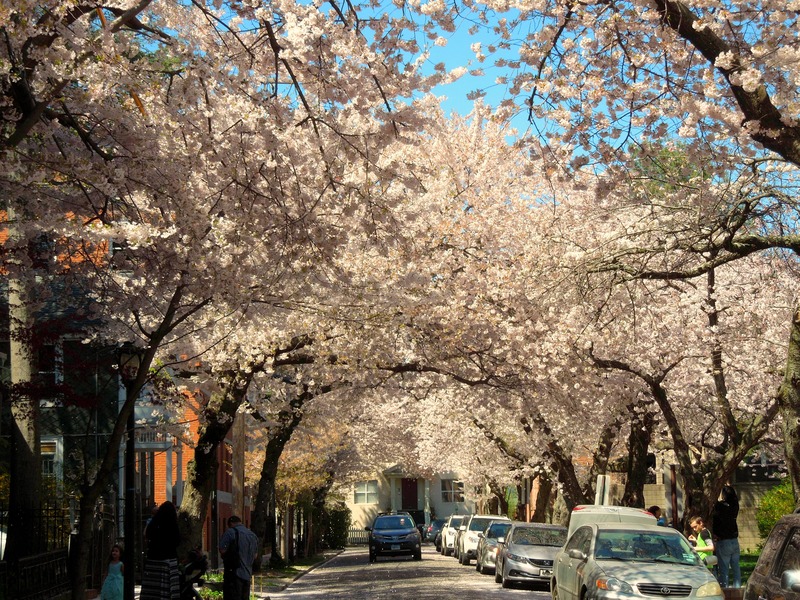 These trees created a gorgeous sweeping arch of breathtaking pink flowers and has earned this street an honor as one of the most beautiful in New Haven. On a recent photo walk I was able to view the absolutely stunning beauty of the Wooster Square cherry blossoms in full bloom and would love to share with you a few of my favorite pictures from that day. Each year the annual Cherry Blossom Festival is held usually around the third week of April in celebration of spring and to commemorate the planting of the cherry blossom trees. From it’s meager beginnings in 1938 of a handful of neighbors this event has grown tremendously over the years to a major event in New Haven attracting thousand of visitors. The Wooster Square area is a neighborhood full of historic charm and very proud of its Italian American heritage, culture and cuisine. Much of the Wooster neighborhood and the square are included in the Wooster Square Historic District which was listed on the National Register of Historic Places in 1971. Home to not just New Haven but the world’s best known pizza is Sally’s Apizza and Frank Pepe Pizzeria. Many other fine restaurants can also be found on Wooster Street along with Libby’s Italian Bakery known for its scrumptious Italian pastries and Italian ice. 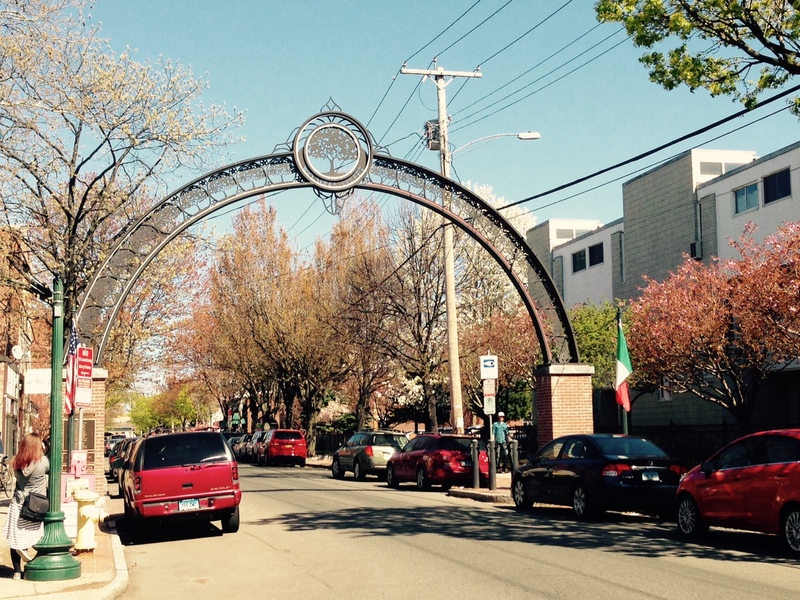 The archway is an iconic image of the gateway to Wooster Street designed by sculptor Gar Waterman in the late 90’s. The Wooster Square neighborhood is one of the most sought after New Haven neighborhoods in which to live with its neighborhood feel, architecture and walkability to Downtown New Haven. Click photo of home for more information,.